After an intensive programme of construction and quality refinement, Terminal B at Sheremetyevo International Airport, Moscow has been certified as a 5-Star Airport Terminal for 2019. This is a prestigious award for airports acknowledging the top quality of passenger services. Terminal B received the 5-star rating after a comprehensive audit. 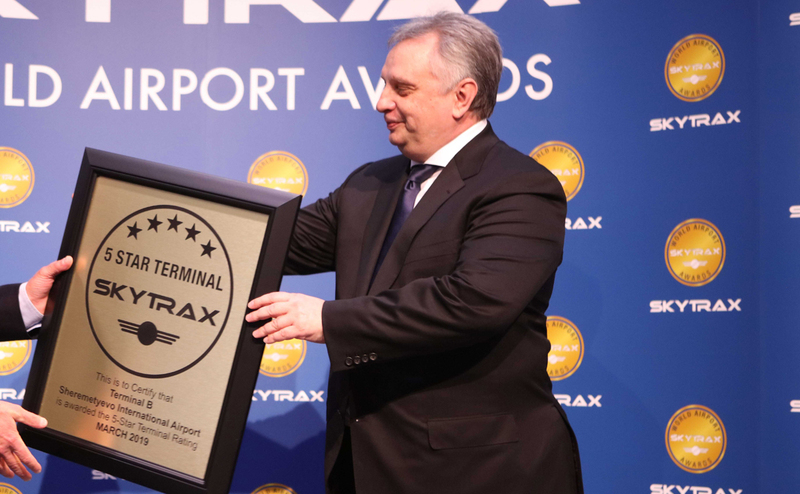 As part of its Long-Term Development Program, Sheremetyevo International Airport makes major efforts to advance its technological infrastructure and adopt the best practices to improve passenger services based on Skytrax rating leaders. As in other 5-star terminal airports, the main driver of Sheremetyevo’s effective passenger service system is its highly qualified staff. Aside from easy movement for departure and arrival, the facilities have been well considered and for example, customers will never find themselves more than 30 metres from the nearest washroom. With further extensions under development to serve International flights in 2020, passengers can expect more exciting upgrades which should deliver a truly World-Class experience. 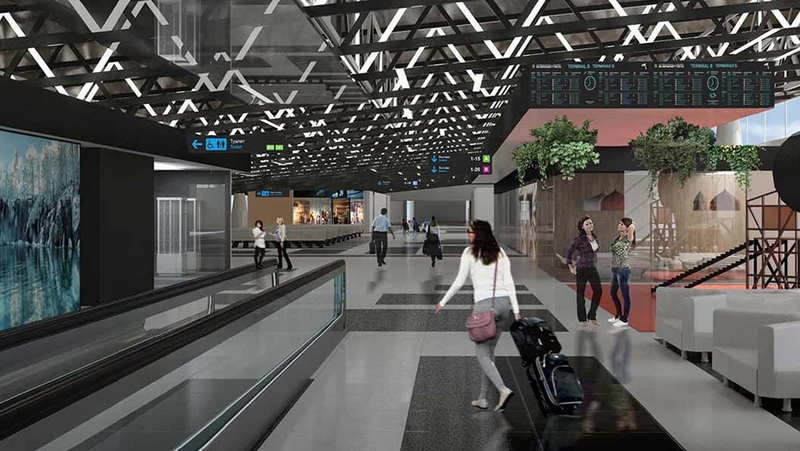 The current plan is for Skytrax to evaluate Terminal C1 both during its construction stage and when it opens in December 2019. 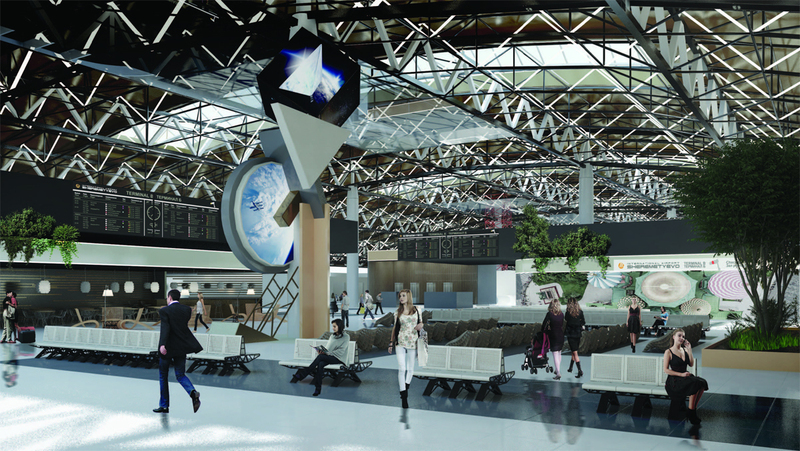 After the completion and commissioning of Terminal C1 and Terminal C2, passenger turnover capacity at Sheremetyevo will reach 100 million passengers annually. Sheremetyevo International Airport is a Top-10 hub airport in Europe and the largest airport in Russia by passenger and cargo traffic, the number of takeoffs and landings, the total area of terminals, and the cargo facilities’ capacity. Sheremetyevo serves over 220 destinations. In 2018, the Sheremetyevo airport served 45.836 million passengers, which amounted to year-by-year growth of 14.3%.